The evening will be held in the hotel and comprise a welcome drink and an hour presentation from Fiona, with questions and answers. If you would like to attend the evening, tickets are available from reception at £5 per person. The evening is also open to non-members. 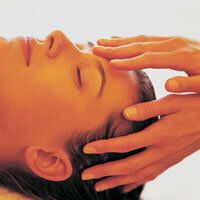 Express ESPA facial - £35 per person, 25 minutes. £25 is redeemable against any 2 or more ESPA products. Spend over £100 and recieve a free ESPA gift worth over £40. Express Facial - this is an ideal taster facial, to introduce you to our ESPA product range. It includes a cleanse, exfoliation, spa fresh, scalp massage and finishes with an application of moisturiser.